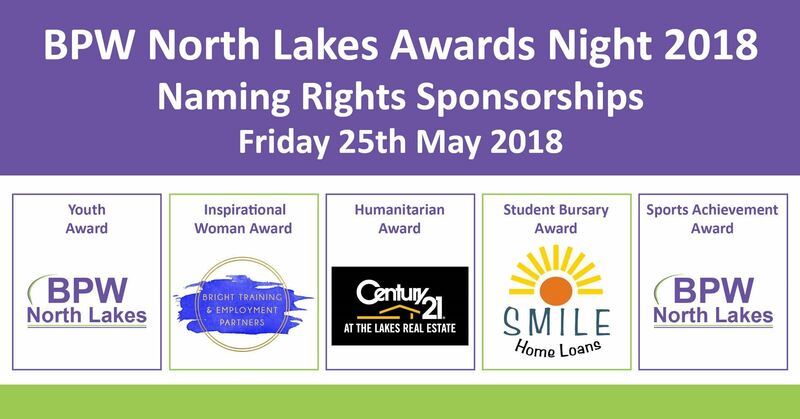 BPW North Lakes invites you to engage in recognising the exceptional achievements of these women through nominations or sponsorship. 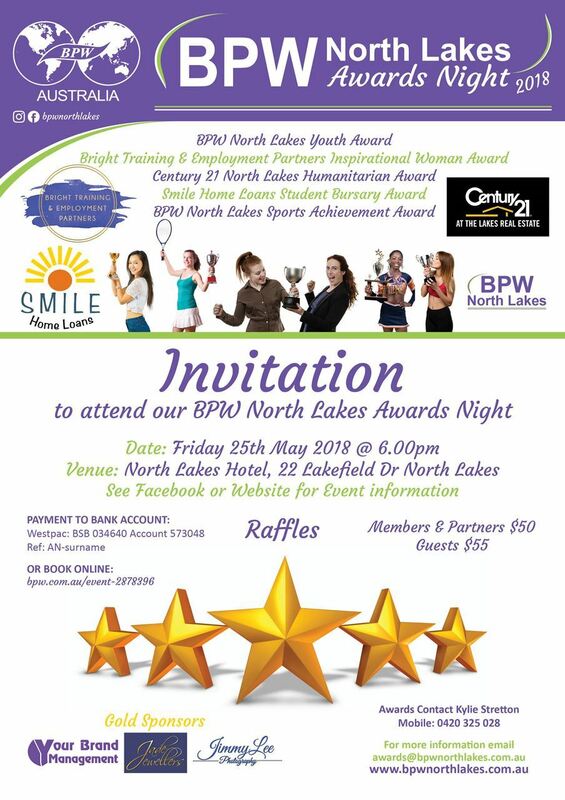 Members, Partners & Friends are welcome to attend awards event. Call Rebecca Parry on 0466 696 416 for more information. Ticket into the Lucky Door Prize - Bring your Business Card or we have paper for you to write your name on. To work for high standards of service in business and the professions. To encourage women and girls to acquire education, occupational training and advanced education, and to use their occupational capacities and intelligence for the advantage of others as well as themselves. To stimulate and encourage in women, awareness and acceptance of their responsibilities to the community, locally, nationally and internationally. To promote world-wide friendship, co-operation and understanding between business and professional women.